The Normit CH plants are a universal high-performance system, which, thanks to its modular design and a wide range of options, can be used for producing cream honey, both in large as well as in small quantities, and regardless of the quality of the initial product. All versions of the Normit CH plant feature an automatic control system, which allows programming the particular mode of honey processing that you require. 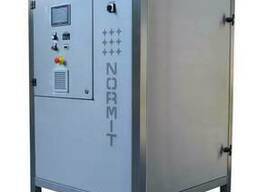 - Only in creaming machines Normit process lasts only a few hours. - Do not need special facilities, everything you need is already built into the machine. 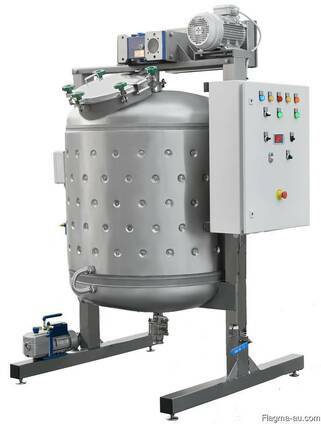 - Installation is very compact and allows you to pre-dissolve the honey, and there are models working under vacuum. 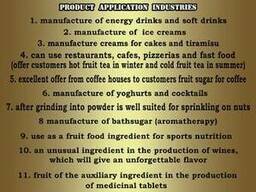 - Possible to produce a cream-honey, even with the addition of various components such as berries, nuts, dry juice and others. - Stable crystallized structure of the finished product. - More product resistance to delamination. - The equipment is manufactured in our factory in Slovakia with the performance of components manufactured in Europe only.